The Casa Munich Wellness Centre offers a stylish space to explore a range of massages designed to relax your mind, body and soul. Using 100% natural, high quality products, the Casa Munich Wellness professionals will look after you, listening to what you need and tailoring a treatment to suit. A visit to the wellness centre allows you to escape the outside world and indulge in a range of treatments that will leave you relaxed and satisfied. The centre boasts a comprehensive menu that includes a series of massages and our professional, experienced team is on hand to give you advice when needed. In addition to the muscle relaxing massage, you can enjoy a manicure or pedicure or an appointment with a professional hair stylist to leave you looking and feeling your very best. Wellness Casa Munich offers 2 brands of natural cosmetic products that are world-renowned and highly regarded. By using the active essential oils, the skin regenerates and heals. With the exfoliation and a relaxing massage your skin will be soft and prepared to get the ideal tan. A real soothing delight for your skin, AROMAPLASTIE is a unique and 100% natural poultice that can be applied either hot or cold, depending on the season. It combines an exquisite texture with an exquisite fragrance. Treatment that will help prepare your skin before sun exposure and activate your true colour in order to achieve a uniform long-lasting tan. Treatment that comforts your skin while providing an immediate glow and enhancing the hydration of your skin for 24 hours. Strengthens cells to revitalize a rosy skin and rejuvenate your face. This line creates all its products using ingredients that are predominately of natural origin including exotic oils, fragrances of the Caribbean tiaré flower, fine lily, and the essence of pure bourbon vanilla. Their treatments will take you away to a world of Caribbean relaxation. The essential Face Care range of LIGNE ST BARTH features a soothing collection of cosmetics adapted to all skin types and all desires. Treatment that includes a cream mask with green clay and pineapple, which are fresh and natural ingredients that will help to eliminate the dead cells, in addition to helping to remove sebum and to maintain clean pores. The deep action of these natural products ensures a fine, uniform and fresh complexion. 90-minute treatment followed by a ritual of personalized body treatment to meet the needs of your skin. After long sun exposure our skin needs to be hydrated. Applying a mask based on oriental rose essential oil will not run the risk of inflammation and will give the necessary balance to enhance your tan. Treatment designed for sensitive & irritated skin that needs to be treated in order to eliminate the sensation of tight skin while reducing redness. Treatment that helps combat the imperfections of skin tone in order to create a luminous and uniform result.Thanks to the sweet-orange essential oil, extracted from the fruit’s peel, it brings light to dull skins, reduces spots and has anti-inflammatory properties. Our skin is in a continuous process of aging. The intensity of the sun, with the passage of ultraviolet rays and free radicals present in the environment, is one of the biggest factors of aging for our skin and although we cannot control them, we can take precautions to prevent them from affecting us. AROMA LISSE, helps combat against all these external factors and thanks to the mandarin essential oil extracted from the peel of the fruit, it delays the signs of the aging and helps with the appearance of wrinkles. This ritual for mature skin gives the luminosity and natural freshness that your body needs to reabsorb during the holidays. It allows you to expel all the stress while obtaining a rejuvenating and energizing result. LIGNE ST BARTH This line creates all its products using ingredients that are predominately of natural origin including exotic oils, fragrances of the Caribbean tiaré flower, fine lily, and the essence of pure bourbon vanilla. A moisturizing and irresistible treatment that contributes to the magic of relaxation and well-being. This treatment combines a cream mask with pink clay and passion fruit. Scented with rose powder, mixed with hints of sweet, fruity and spicy aromas. It is ideal for relieving sensitive and dry skin. The passion fruit contains polyphenols, which have excellent antioxidant and anti-inflammatory properties. Treatment for 90 minutes followed by a personalized body treatment to meet the needs of your skin. Before a night of well-deserved indulgence, this quick treatment will give your face and body all the luminosity you need to dazzle while being a state of tranquility. To achieve the perfect appearance, you can finish it with our OPI manicure and pedicure. Professional facial treatment that energizes and moisturizes the devitalized skin. This allows you to obtain a fully rested face with freshly awakened skin by using Jasmine Absolute. Originating from Egypt, Jasmine Absolute has energizing, anti-inflammatory and antioxidant properties. Treatment for 60 minutes with an optional OPI express manicure. Holidays in Ibiza are the perfect time to pamper ourselves and take care of our appearance; therefore, we cannot forget to take care of our hands and feet. If we think of the beach, sun, disconnection, and to this we add a relaxing massage, we have the balance between body and mind, escape the routine and start enjoying all the elements has to offer us this wonderful Island. After a long journey or the stress of the routine, it is time to relax your feet and legs with this massage that will help you stimulate the circulation and to get a feeling of rest and lightness. 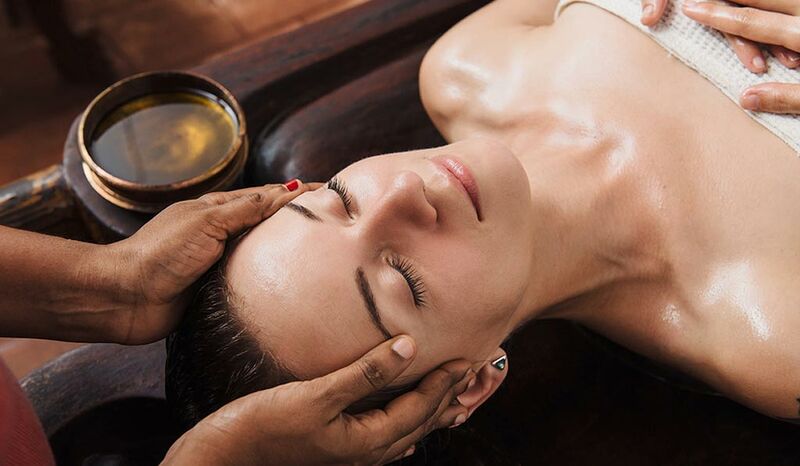 We all need a moment of disconnection and with this massage you will be able to relax the mind and improve the cerebral blood circulation helping to reduce the stress. This is a massage with virtually instant results, which relieves pain in the feet, improves blood pressure and reactivates the energy lost through fatigue. The technique is somewhat stronger than one of only relaxing type. This technique is used to dissolve the postures produced in the contractures caused by bad postures, sports injuries or simply by stress. From a classic relaxing massage to decontracting, craniofacial or to improve the circulation of your legs, come and let your mind and body breath. You can enjoy all kinds of treatments at our wellness center, from preparing your skin for the sun, to a ‘flash-effect’ make over transforming your look. We have everything you need to care for your hands and feet. Sit back, relax and let us pamper you. 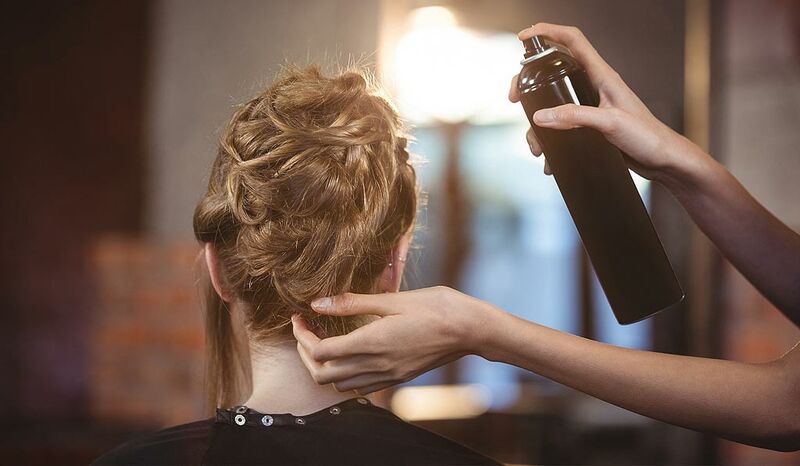 Let our professionals advise and help you create your dream hairstyle or haircut for any occasion.